G4S, the world’s biggest security company, plans to increase its workforce in the UAE in the coming years, the company employs 12,000 people currently and the number is expected to go up to 14,000 next year, and 20,000 in two to three years’ time. “We are planning to expand our workforce in the coming years as there is a need for secure solutions and secure players in the market,” said Alida Scholtz who took over as the CEO of the company in the UAE in July this year. The security firm which is active in more than hundred countries has offices in all the seven emirates in the UAE and is planning to expand its operations in-Abu Dhabi. 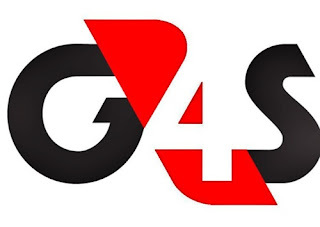 Listed on London Stock Exchange and with a secondary stock exchange listing in Copenhagen, G4S employs more than 610,000 employees all over the world. Its clients in the UAE include banks, retailers, educational institutions like universities and schools, government entities among others. The revenue of the company in the UAE has been growing over the past few years, Scholtz said without giving a specific figure. She said Middle East and India account for 33 per cent of the total global revenues amounting to about 2.2 billion pounds (Dh10.22 billion) per annum. “If you look at the business nearly 70 per cent is dominated by small players, but due to increase in regulations and requirements for security companies you might find lot of these companies might not be there in two to three years’ time which will allow stronger players like us to really stay,” he said. The slowdown in the economies in Gulf countries will not have any impact on business, she said. The CEO emphasised that the company follows strict screening process while recruiting security guards with three layers of screening in the country of origin, in the UAE by police and finally by the security board which manages the industry. As part of the expansion plans, the company plans to bring in more technology to the table and recruit more Emiratis.